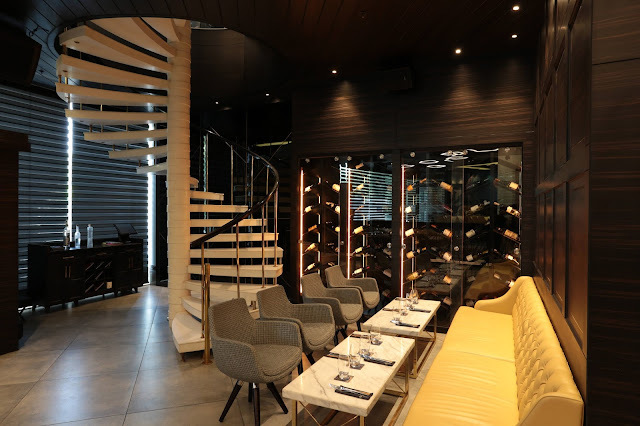 In this blog post, I cover NUEVA, a new South American/Peruvian fine-dining restaurant in Delhi. In the mood for some authentic Latin American culinary fare? NUEVA introduces you to the regional cuisines of Chile, Peru, Argentina, and Cuba by presenting an exotic menu infused with flavors and techniques culled from the homely kitchens across the continent of South America. 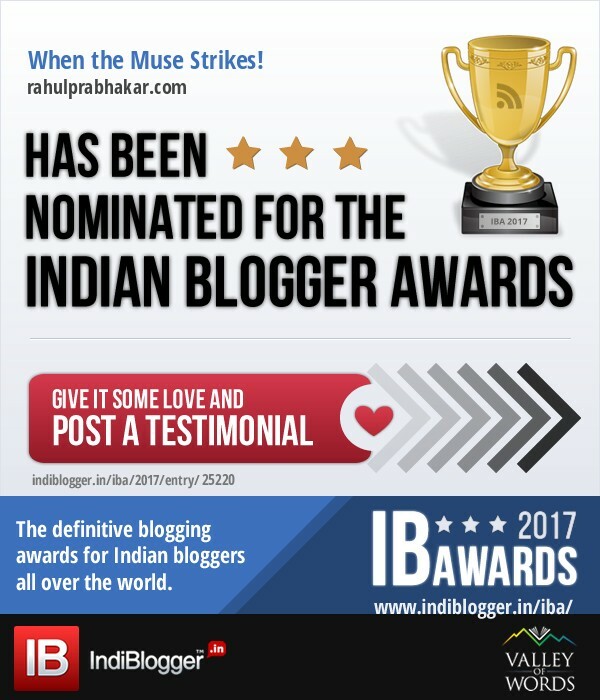 I got to know about NUEVA earlier this year in May through an Instagram post by none other than Virat Kohli, captain of the Indian national cricket team. 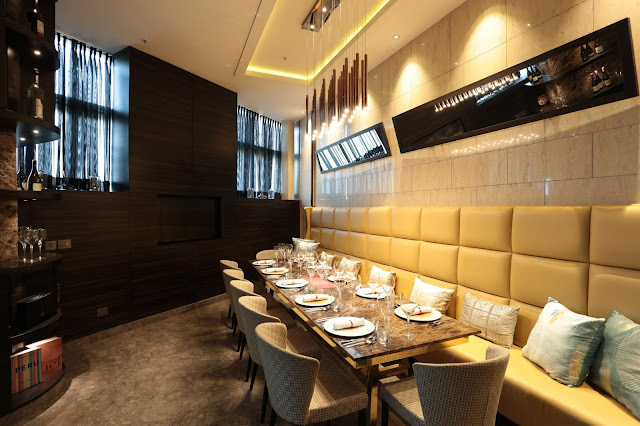 The beautifully crafted restaurant is designed to offer three concepts within a single space – fine-dining at an affordable price; food and service worthy of a Michelin starred restaurant; and authentic flavors with modern presentation. Seen through the eyes of a historian chef who goes by the name of Michael Swamy, the cuisine is steeped in history and legend, taking you to the Portuguese and Dutch trade routes through South East Asia. Not only does the menu presents the indigenous ingredients and foods consumed by the mighty Mayans, Aztecs, and Incas, it also offers insights into the techniques, ingredients, and dishes brought to the land by its many invaders and immigrants such as the Spanish conquistadors, Dutch and Portuguese tea merchants, French coffee merchants, Arab traders, Asian and African slaves etc. The ingredients vary from fresh fruits to meats, from fish to foods from the plains and mountains. All these flavors are a perfect amalgamation of a heartwarming cuisine and culture. 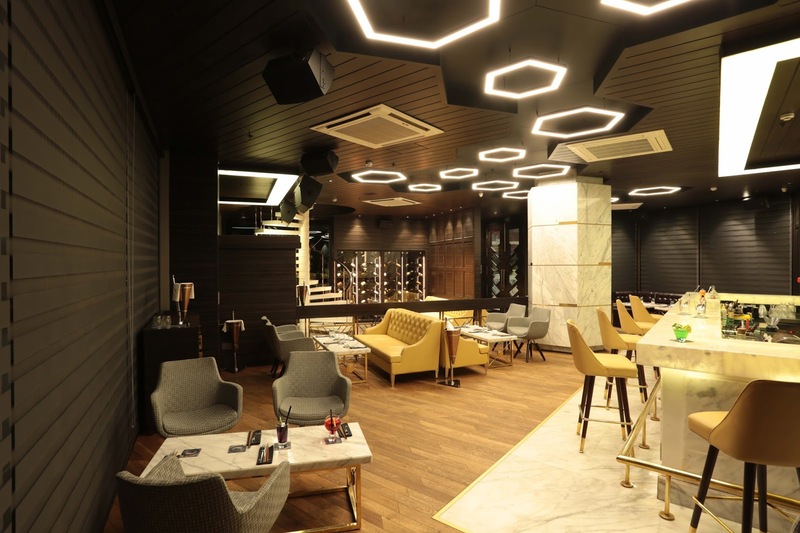 The property is spread across two levels - while the ground floor welcomes you into a plush lounge and bar, the first floor opens up to a cluster of seats and tables designed for an uninterrupted dining experience. Large glass panels reveal the state-of-the-art kitchen at NUEVA, the hub of Owner and Chef Patron Michael Swamy's innovative cuisine. With nature as its theme, NUEVA comes across as a sanctuary for new beginnings, a space for experimentation, connections, and celebrations. Chef Michael's passion for nature is strongly represented in his food. The ecological nature of sustainability is reflected in the minimal use of plastic; even plastic water bottles are not used in the restaurant. Several artists have lent their work to be displayed in the restaurant. 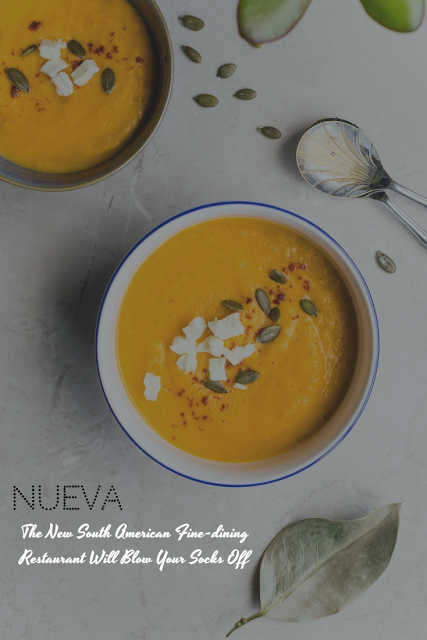 With simple yet bold flavors, NUEVA aims at keeping you - the customer - at ease. 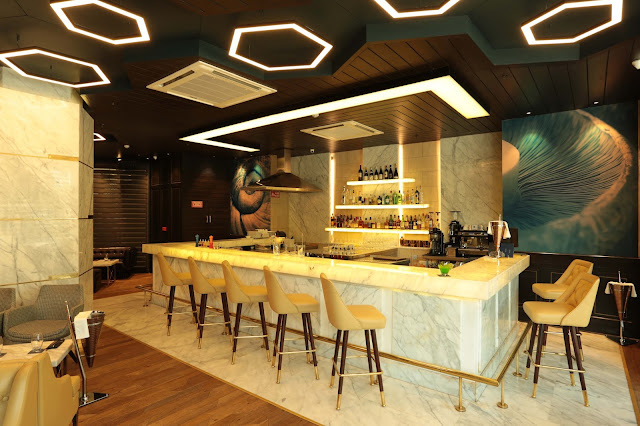 The unique bar menu draws inspiration from the Spanish concept of Tapas and is designed for people who want to eat or snack at the bar without feeling the need for a full meal. The tapas are designed on organic and local fresh farm produce. The menu is seasonal and changes on a regular basis. From classics like Parihuela, Trucha A La Plancha, and Quinoa Pudin Dos Formas - to signatures like Pollo En Infusion De Te, Pera Y Pato, Cielo, and Tiramisu con Canela, the European styled restaurant is bent on creating a new perspective to favorites and classics. Everything on your plate reflects art and culture in its true sense. NUEVA is the kind of place where food pairs with art and philosophy, taking you on a journey of nature i.e. sea, land, mountains, and air. The music sets the mood for all-purpose, from easy lounge in the daytime to jazz and blues during high tea. As the evening progresses, the music transforms into an upbeat vibe where one can party but still have a conversation with friends. Special events are held with live performances from Salsa Performances to Live DJ sets to a full out party. Here are my top recommendations at NUEVA. Chicken tossed with a Portuguese spice blend and chili. Tiradito of sole with a coriander emulsion and lemon. Prawns tossed with chili and lemon. Artichoke served with a rich walnut sauce. Asparagus and pea puree with hints of exotic chili drizzle. Cheddar Cauliflower puree and pickled mushrooms. A hearty meaty duck confit with fruity spicy sauce. Belgian pork served with vindaloo sauce. The tenderloin served with burnt rosemary mash potato. This robust coriander tinted stew made of lamb, potato, and onion. A rustic blend of indigenous rice and fave beans. Layers of zucchini and carrot and cheese with a green mole sauce. Hints of parched earth on a plate. It is all about celebrating chocolate! 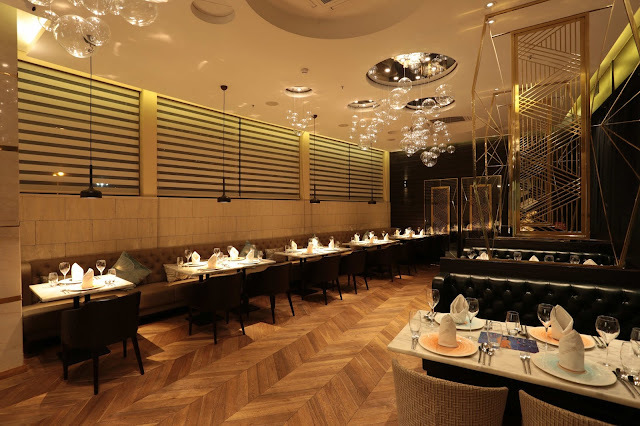 Make no mistake, NUEVA is by far the best fine-dining property in Delhi - there are no two ways about it!